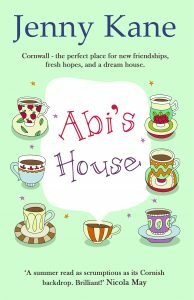 A few years ago I was lucky enough to receive a fantastic review for my Cornish novel, Abi’s House, from the lovely folk at Devon Life Magazine. 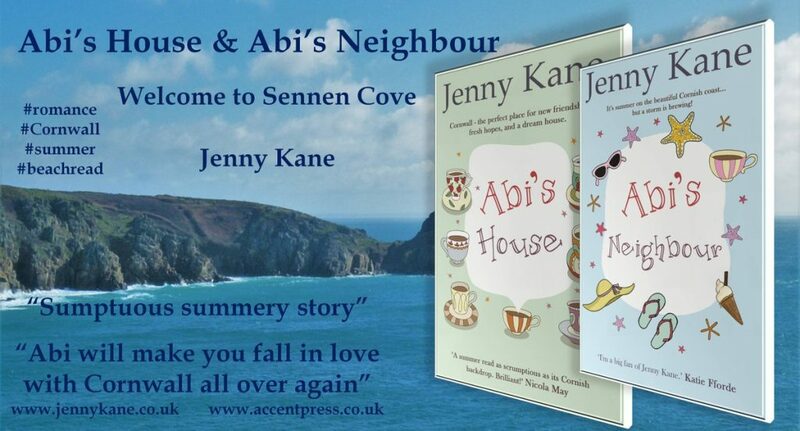 Much to my surprise and delight, this month I have received a wonderful review from Devon Life for its sequel, Abi’s Neighbour. 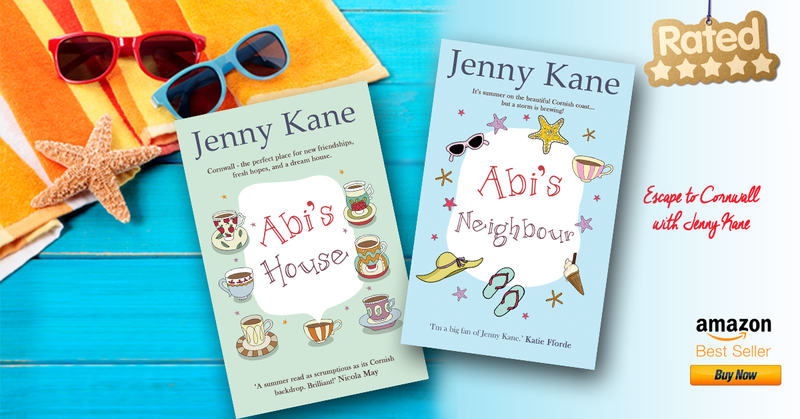 For the next few days you can get my bestselling novel, Abi’s House for only 99p on Kindle. The perfect Valentine’s gift! 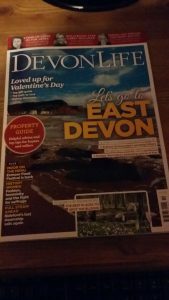 This lovely review from Devon Life Magazine for Abi’s Neighbour is available in this month’s magazine. Snatching the papers from Maggie’s fingers, Cassandra’s shoulders tensed into painful knots. Why hadn’t Justin told her he’d done this? She was convinced she was right. And anyway, he’d never deliberately make her appear foolish in front of a country bumpkin estate agent… Yet as Cassandra scanned the document before her, she could see there’d been no mistake. Closing her eyes, she counted to ten, before opening them again to regard the badly dressed woman before her, who was once again holding out the offending set of keys. Failing to take them, Cassandra gestured towards the little house. Clearly thrilled that he’d managed to buy the terrace for a knock-down price – which, he’d claimed, was a far more economic use of their funds, an investment that would make them a fortune to enjoy in their retirement – he’d sounded so excited about what it meant for their future together that Cassandra had found it hard to remain cross. Assuring her that the situation remained the same, and that she was still only expected to stay in Cornwall while he secured his new position and got the wheels of the divorce in motion, Justin told Cassandra he loved her and would be with her very soon. Returning to the terrace reassured, if lacking some of her earlier dignity, Cassandra swallowed back all the words she’d have liked to say as she opened the door and the gloom of the dark and narrow hallway enveloped her. She was sure that awful Maggie woman had been laughing at her. The agent had taken clear pleasure in telling her that if she hadn’t stormed off so quickly she’d have found out that the phone reception was excellent if you sat on the bench in the back garden. Vowing to never drink champagne in any form ever again, as it clearly caused her to agree to things far too readily, Cassandra saw the next two months stretching out before her like a lifetime. Letting out some of the tension which had been simmering inside her since she’d first seen the for sale sign, she picked up a stone and threw it at the back fence, hard. Maggie had gone, leaving her reluctant client sitting on an old weathered bench in the narrow rectangular plot at the back of the house. Playing her phone through her fingers, Cassandra saw that there was enough reception to make calls if she sat in this spot – but only in this spot. One step in either direction killed the signal dead, which was probably why the previous owners had placed a bench here. And probably why they left this Godforsaken place! The Internet simply didn’t exist here. When she’d swallowed her pride and asked Maggie about the strength of the local broadband coverage, the agent had actually had the audacity to laugh, before informing Cassandra with obvious satisfaction that people came to Sennen for their holidays to leave the world of emails and work behind them. Breathing slowly, she pulled her shoulders back, pushed her long, perfectly straight blonde hair behind her ears, and took a pen and paper out of her bag. It looked as if she was going to have to tackle this, old school. First she would make a list of what she considered necessary to make the house habitable for holidaymakers, then she would locate the nearest library or internet café so she could source decorators and builders to get the work underway. The sooner she got everything done, and herself back to hustle and bustle of London, the better. Deciding there was no way she could sleep in this house, which Maggie had proudly described as ‘comfortable’, ‘sought-after’, and ‘ready to be made absolutely perfect’, Cassandra hooked her handbag onto her shoulder and headed back into the whitewashed stone house. Shivering in the chill of the hallway, despite the heat of the June day, she jumped in the silence when the doorbell rang just as she bent to pick up her overnight bag. For a second she froze. It had been years since she’d heard a doorbell ring. In her block of flats back home she buzzed people in via an intercom, and anyway, people never just dropped by. She hoped it wasn’t that dreadful Maggie back with some other piece of unwanted advice. I hope you enjoyed that! !